You Are Here: Home > Which is America’s Best Truck? Whether you need a truck to take to work or use as your everyday drive, there’s only one model that’s best for your needs. 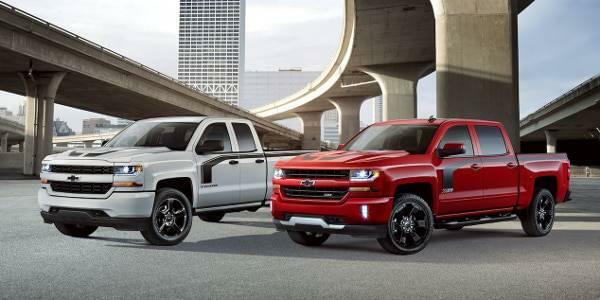 We’ve compared three of the most popular American pickup trucks available to drivers in the Merrillville, IN area: the Chevy Silverado 1500, Ford F-150, and Ram 1500. Read on to learn more about each of these models as we cover performance specs, interior options, technology features, and more. For this comparison, we’ll be taking a look at the 2017 Chevy Silverado 1500 LTZ Z71 Crew Cab, starting at $50,235 MSRP*, the 2017 Ford F-150 Lariat SuperCrew, starting at $47,535 MSRP*, and the 2017 Ram 1500 Rebel Crew Cab, starting at $48,590 MSRP*. Have any questions? Give Mike Anderson Chevrolet of Merrillville a ring at (219) 947-4151. As you can see in the table below, the Chevy Silverado 1500 has a leg up on the other two models as far as performance goes. Wondering how an American pickup truck can supplement your routine? 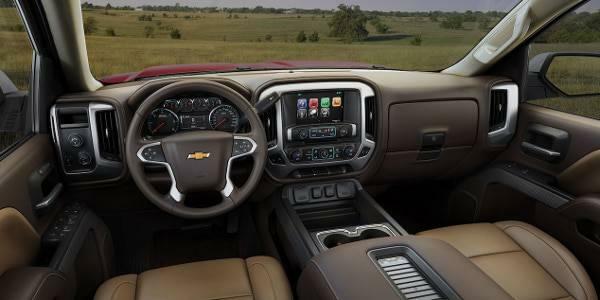 Check out the interior features and technology options of the Chevy Silverado 1500, Ford F-150, and Ram 1500 to see which best aligns with your needs. From design aspects to your safety, these pickup trucks offer incredible safety and exterior features. We think, however, that the 2017 Chevy Silverado HD offers much better options than its competitors. Getting into a new Chevy Silverado 1500 doesn’t have to be difficult. In fact, the finance center team at our Chevy dealership in Merrillville, IN will help you find a fantastic auto loan or lease that works perfectly with your budget. We also have new Chevy offers and incentives so you can get an even better deal on the Silverado 1500 trim package you’ve had your eye on. Have you decided on the 2017 Chevy Silverado 1500? Check out the new vehicle inventory for availability, and then schedule a test drive. 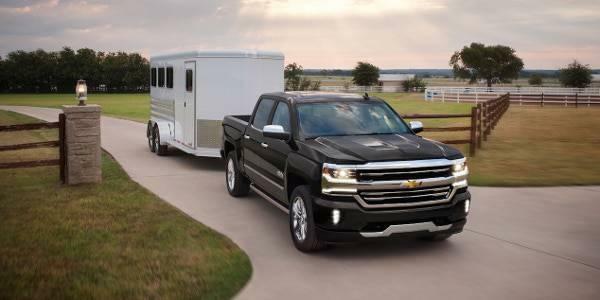 For more information on the new Silverado 1500, contact our Chevy dealership in Merrillville, IN by calling (219) 947-4151 or by sending us a message.